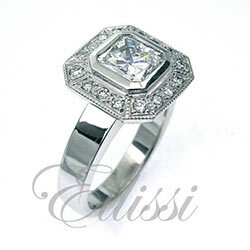 Home / Diamond Rings / Cushion Cut Diamonds Rings / Top view of “Marlena”, rare cushion brilliant cut. 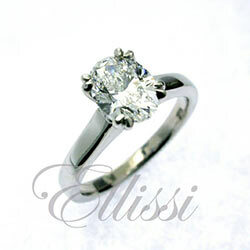 Top view of “Marlena”, rare cushion brilliant cut. 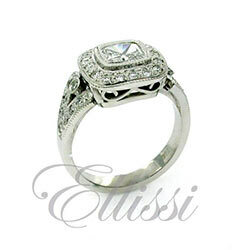 This is the top view of E5297 and E5293. 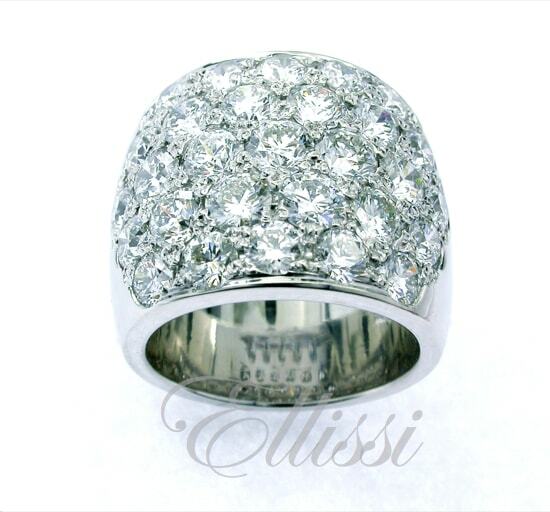 It is an 18 ct white gold diamond ring set at its centre with a 0.78ct cushion brilliant cut diamond, a very precise and rare cut type: the best of its kind. 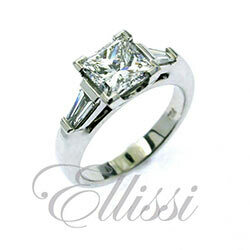 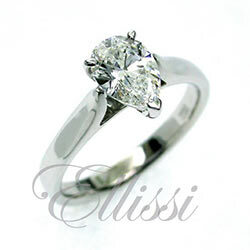 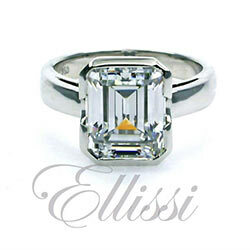 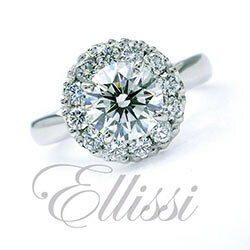 As with all our rings, this is a client custom made ring from ellissi. 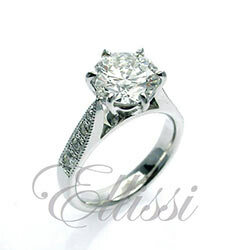 The central cushion is set in a double claw, with additional round brilliant cut diamonds set into the shoulder with scalloped claws. 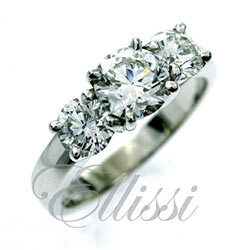 A well balanced ring design with great diamond content custom made. 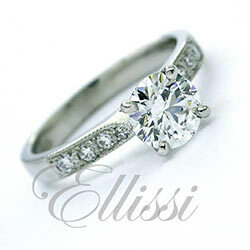 The design allows for the ring to have a matching wedding ring along side. 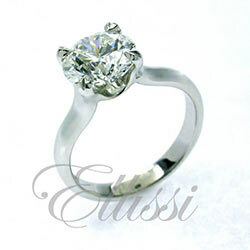 With over 1.00 ct of diamond content, a well price option with the best cut type of its kind.